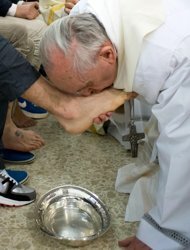 Pope Francis washed and kissed the feet of two young women at a juvenile detention center, a significant break with tradition- which makes it a surprising end to the rule of the church that restricts the Holy Thursday ritual to men. This gesture by the pope sparked up a debate among some conservative and liturgical purists, who lamented he had set a "questionable example." On the other hand, Liberals welcomed the move as a sign of greater inclusiveness in the church. 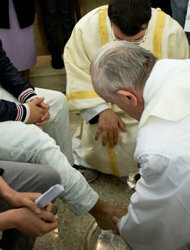 While speaking to the young offenders, including Muslims and Orthodox Christians, the Pope said "Jesus washed the feet of his disciples on the eve of his crucifixion" in a show of love and service which symbolizes- "I am at your service"
Pope Francis went on to speak to the group of 14 to 21 years, at the Casal Marmo detention facility in Romes "Help one another. This is what Jesus teaches us, this is what i do. And i do it with my heart. I do this with my heart because it is my duty. As a priest and bishop, i must be at your service." 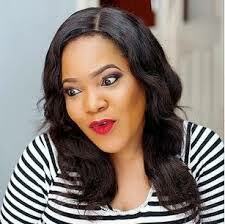 well folks is this pope not a blessing to women?